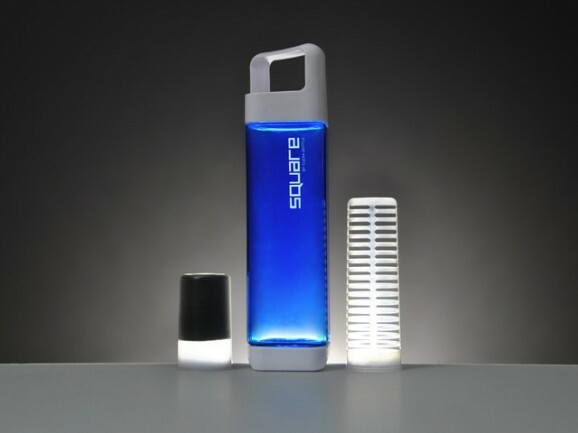 Since GFR first covered the Coolest Cooler, the invention that won Kickstarter, as well as an environmentally friendly water bottle redesign, it makes sense that we round out the trifecta with another cool crowd funded idea: the square water bottle. Sure, it looks cool, but what’s wrong with the conventional round shape of a water bottle? If you’re wondering that, you’ve probably never brought a bottle of water on an airplane (purchased or filled up in the airport, rather than brought through security, of course). I can’t tell you how many times I’ve lost my water bottle because I left it in my bag and it rolled out, disappearing under the feet of the folks behind me. The square design solves that problem. If they’d only invent square chapstick for the same reason, I’d be seriously impressed and delighted. And in case you’re wondering, the square design doesn’t impede shoving the water bottle into a cup holder. Google is one of the companies whose artificial intelligence and computing algorithms involve something called “deep learning.” Whereas we usually think of software, AI, and computer algorithms as being programmed, deep learning goes a step further, integrating brain-like systems into software so it can learn as it feeds on data. Google has established itself as a leader in this burgeoning field, and its new experimental software shows why. GFR has already reported on Google’s ability (and Facebook’s) to identify objects in photos. But until now, the deep learning software has only been able to identify discrete objects — perhaps a television in a photo, or a soccer ball. But now, Google’s software can identify multiple objects in context. In the image above, the program didn’t simply recognize pizza or the stove. 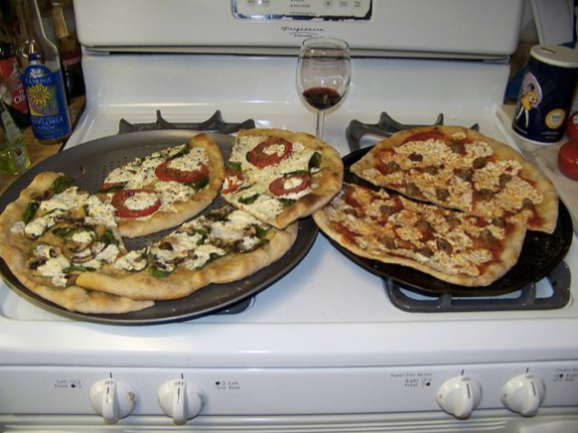 It recognized “two pizzas sitting on top of a stove top oven.” This means the software can count and situate — it can also articulate what it sees in complete sentences. If you’re still crying about the demotion of Pluto, it’s probably time to focus on something else, namely, on the possibility that the dwarf planet isn’t the end of our solar system. Scientists have recently uncovered new evidence suggesting that the elusive “Planet X” might be real, and there might be two of them. The idea of Planet X goes back more than 150 years. By then, astronomers knew about Uranus, but they also discovered that its orbit was wonky, which made them suspect Uranus was under the gravitational influence of another planet. In 1846, Neptune was discovered, but astronomers noted that Neptune’s orbit was also a bit odd. Hence, Pluto—except not really. 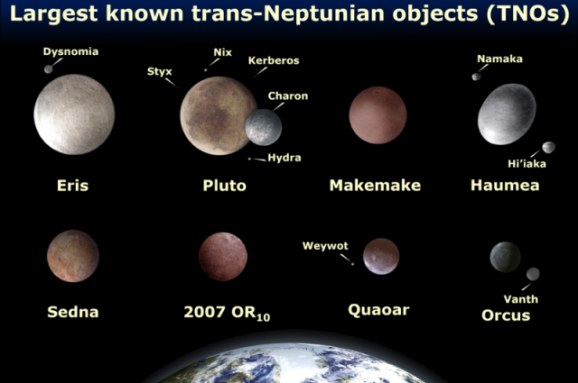 As it turns out, Pluto is too small to have the kind of effect on Neptune astronomers noticed. So they figured there could be yet another planet, a bigger one, out past Neptune. Guns in space are cool when it comes to Han Solo, Captain Kirk, or Ellen Ripley, but otherwise, most people agree that space should be kept weapon-free. That was a big focus of John F. Kennedy’s moonshot speech, as he intimated over and over that the USSR might use space as a “terrifying theater of war.” Space technologies have militaristic uses and connotations, even if they’re not designed for anything of the sort, which was why Russia’s successful launch of Sputnik in 1957 kicked the Space Race into high gear. The U.S. knew that if they had a rocket powerful enough to launch a satellite, they could also launch nukes. Plus, satellites can be used to spy. That’s part of why the U.N. and other countries approved the Outer Space Treaty, which, among other things, restricts the use of weapons of mass destruction in space, as well as using space for military bases or weapons testing (“The Moon and other celestial bodies shall be used by all States Parties to the Treaty exclusively for peaceful purposes”). Despite all this, it used to be common practice for cosmonauts to have access to a gun in the emergency kit of all Soyuz capsules. Apparently, this all started in 1965 when a return Soyuz flight landed off-course, prompting survival stories that boasted bears, wolves, and other dangerous Siberian wildlife that warranted protection. Though the cosmonauts never actually had to fight anyone or anything and were quickly rescued, the idea had been born that certain situations astronauts encounter could be dangerous enough to warrant a gun. Even after the formation of the ISS, the practice continued. One would have an easier time getting a bear to explain why it likes honey than getting director Christopher Nolan to completely explain the ideas behind his films. (All bears are like Winnie the Pooh, correct?) Luckily, his storytelling tends to be imbued with already explainable data, whether it involves wormholes or Wayne Enterprises. The pop culture-steeped astrophysicist Neil deGrasse Tyson recently shared a science-based explanation behind the ending to Nolan’s big and bulky Interstellar, and how it fits into the nature of humanity. Spoilers of the theoretical kind, for those who haven’t seen the movie yet. 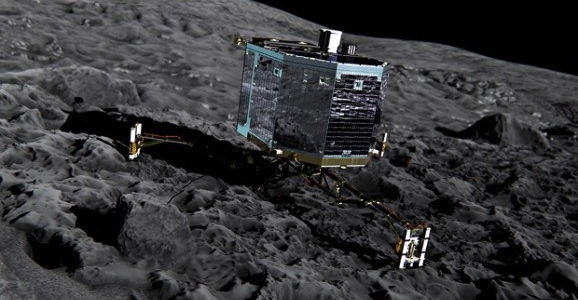 The Philae lander, which made history last week when it became the first craft to touch down on a comet, has gone to sleep. Now, we just have to hope it wakes up. Philae’s harpoons didn’t deploy during its landing on Wednesday, so it never got properly anchored into the comet. It bounced a few times and eventually landed in a spot under an outcropping of rock, almost entirely in shadow. The solar-powered batteries need 6-7 hours of sunlight a day in order to continue functioning, but only got about 90-minutes, and what scientists feared would happen did. Early on Saturday morning, the European Space Agency (ESA) lost contact with the lander.